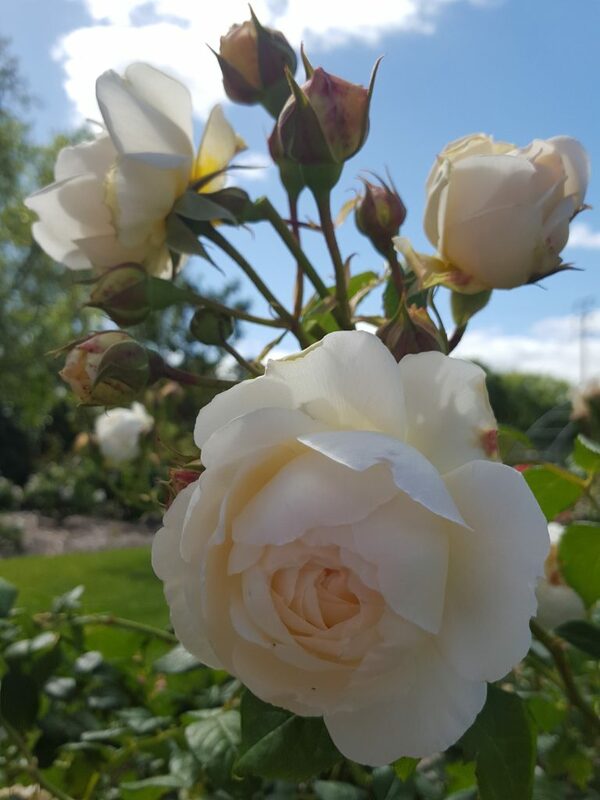 Hello dear rose friends as we relax a little after an immense day of planting a gorgeous rose garden down Gippsland way … I love to go for a drive and since I designed the garden and Ben and Tova were asked to assist with planting, we drove together – what a joyous day it was! Yesterday I received a call from the post office in Cowell S.A telling me my roses had been there for a week waiting for me to pick them up. 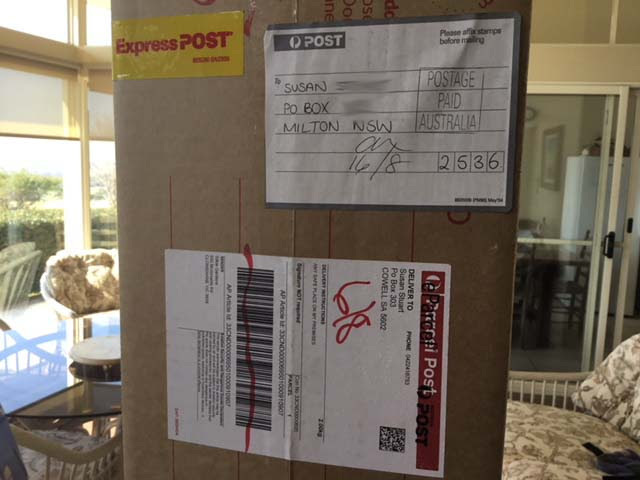 You can imagine my surprise when the address I gave your outfit was P. O Box **** MILTON NSW 2538! What to do? ? Please check my order, it was placed on the 30th July and paid for by PAYPAL, I would appreciate this being resolved sooner rather than later . the roses look fine , the paper around them is still damp so no problems there. If you haven’t sent the replacements, don’t worry about it as these look really well but thank you for the offer. Hello again Susan .. this is a testament to the type of service we get from AUSTRALIA POST .. they are sensational 99.9% of the time! 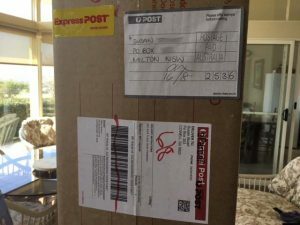 Fancy them ringing you from the PO in Cowell, SA and then when they realised the mistake, they put an EXPRESS POST sticker on the pack and you received it very, very quickly at MILTON, NSW … I’m guessing just two days? That’s very special and I will try and contact the people at Cowell PO to say THANK YOU. 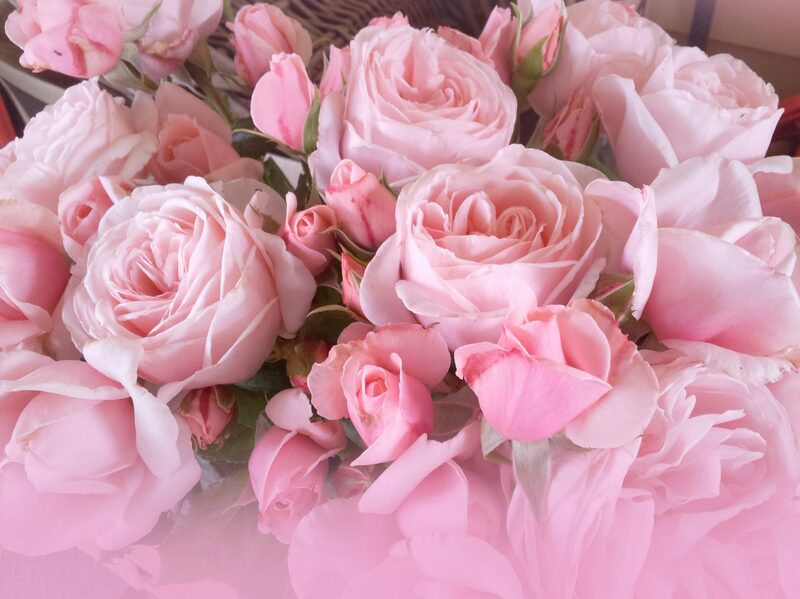 Please, if you don’t have room for two of each of these beautiful roses now that I have already posted the replacements … pot a couple of them and save them for an opportunity when you need a GIFT ROSE … they make a truly lovely gift! 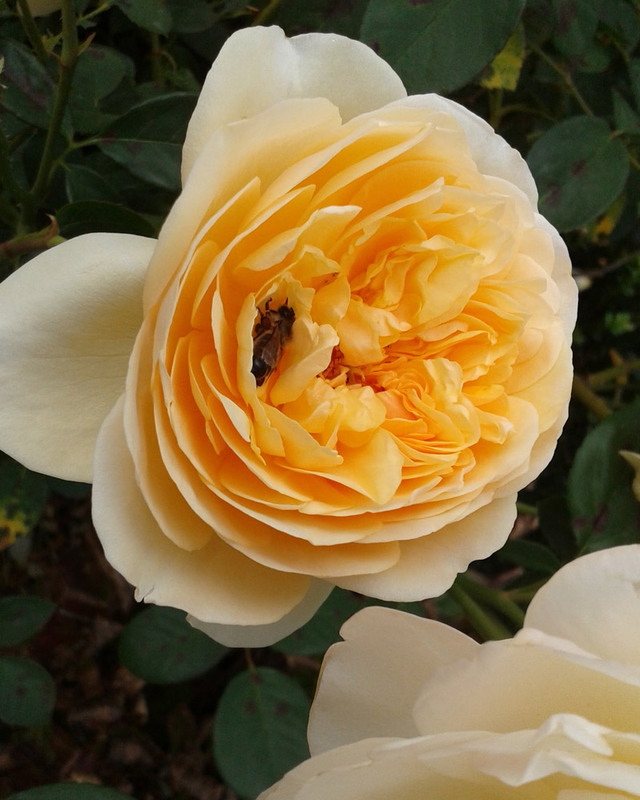 Pure golden yellow blooms in massive profusion over a very long flowering season – strong Tea Rose fragrance – climbing upright to 2.5 metres and spectacular in an obelisk or pillar frame. 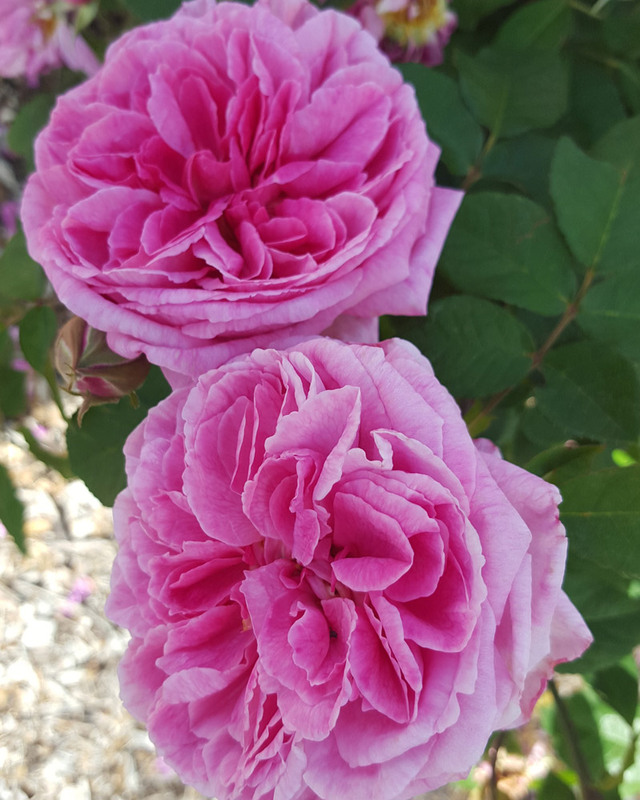 Large deep pink flowers with a mass of swirling petals which emit the most sumptuous fragrance of all the David Austin roses, this beauty will climb to 2.5 metres or display beautifully as a free-standing very large shrub. 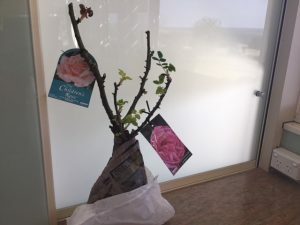 Glorious large fragrant blooms of apricot-pink on long branching/arching canes which easily grow to 2.5 metres and when tied as espalier make a most amazing display over a long flowering season. Exudes the most delicious fragrance from deeply cupped lemon/pink buds opening to display purest white flowers over an extended season … gorgeous! Many more of the David Austin varieties of roses are suitable to grow as climbers – you make them do WHAT YOU WANT THEM TO DO … take their branching canes and tie them to a fence, grow them in a tight spot so they grow upwards to fill an obelisk or just let them flounce and branch out to fill large spaces in garden borders. The fragrance and multitude of colours in the David Austin roses, their old-world charm and high-health plants will delight you! 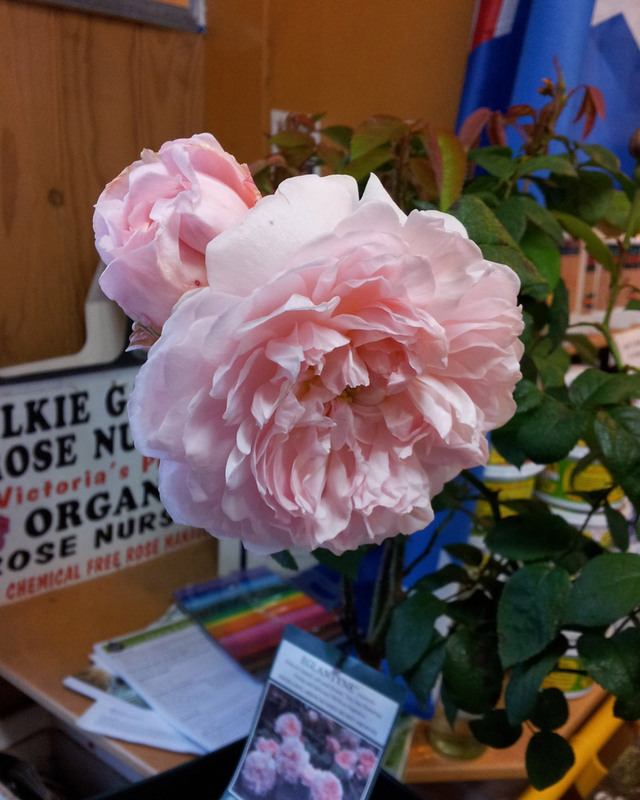 If you haven’t already planted some of these roses in your garden, order them NOW as you’re sure to be as thrilled with their beauty as I am! Q. What did the clean dog say to the insect? A. A long time no flea.